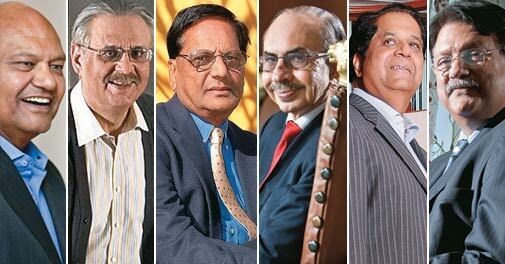 Personal accounts of 50 of India's "wise" men and women - the country's biggest corporate leaders. Each one of them writes about the advice that worked for them. What is important to note is that they chose which advice they wanted to follow, and profited from it. We decided to dig deep into the subconscious and the memories of the men and women who keep our economic boiler room ticking and ask them to share with you the best advice they had ever received. TJ's, the multi-product brand from Tihar Jail, is a brand with a diverse product portfolio. The mix includes everything from bread, apparel, furniture and mustard oil to paper products. It is now looking to hit the big time through tie-ups with mainstream retail stores. For some swilling and tapas sampling in a hyper social ambience, head to Vinoteca by Sula. A Comptroller and Auditor General who does not evaluate the performance of the government is failing in his constitutional duty, writes former Solicitor General of India Gopal Subramanium. Though digital communication accounts for a small pie of the overall advertising industry, it is growing at a scorching pace. And global acquisitions in this space are adding to its lure. Oil and Natural Gas Corp has discovered a new pool of reserves in the D-1 field of the western offshore basin. The find may make D-1 the basin's third-largest field, after Mumbai High and Heera fields.